Happy Thanksgiving from the Q Source family! We are, as always, very thankful for your continued support of our Web site, blog, and social media community. We wish you and your loved ones a very warm, loving, and safe holiday filled with family, football, and full bellies. 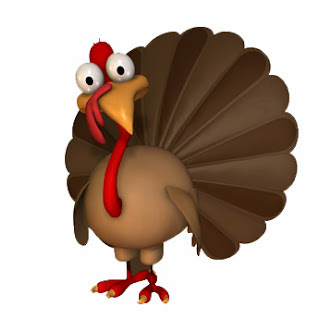 Please Note: The Q Source office will be closed on Thanksgiving Day (November 28th) and Friday (November 29th). QSource.com is available 24/7 and any orders placed over the holiday break will be processed as soon as possible on Monday, December 2nd. For additional questions about such orders, please send us an email or give us a call (800-966-6020). If there's a product or topic you'd like to see The Q Source Resource write about please let us know. We'd also appreciate if you share this blog post with your friends and colleagues via the social media links below. If you have questions or comments about Q Source please leave us a message in the comments section.